We flown with the helicopter over the Sambodja Lestari area in East-Kalimantn and surveyed the area by LiDAR and Ortho-Photos. Some of the results are shown below. 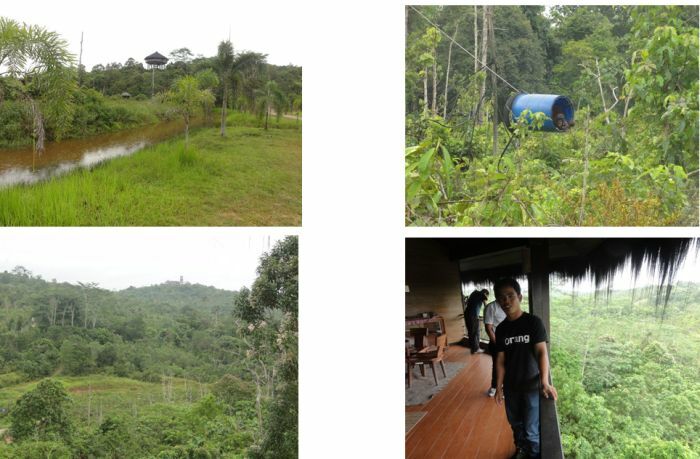 Samboja Lestari reforestation area is located in East Kalimantan. 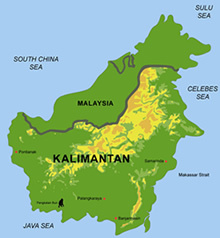 Location of the centre: 116° 59’E, 1° 02’S Vegetation: Plantation forest, many species, age: 1-5 year (2004); Some regenerating forest remnants; Alang-alang (grass); Topography: Undulating - Hilly; Biomass range: 30-150 ton/ha. Height range: 2-15 m. Extent: +/- 3 km in all directions. In Samboja Lestari plantations including teak, gamelina, meranti and fruit trees, and secondary forest plots and areas of alang-alang grass are planted. The 2000 ha area it acquired had been deforested and was covered in alang-alang grass. 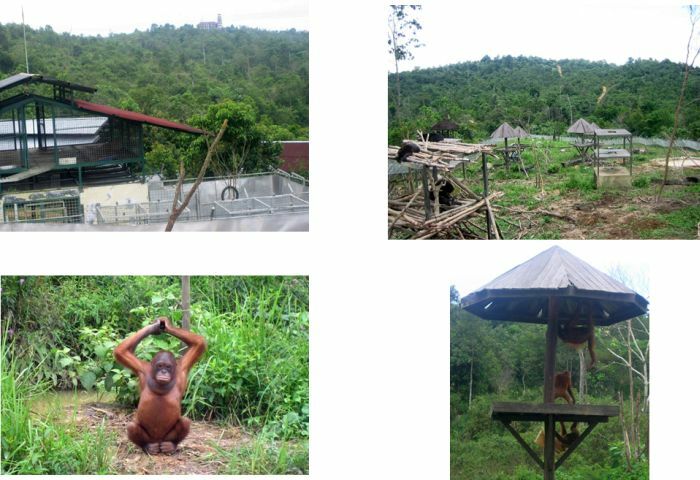 The aim was to restore the rainforest and provide a safe haven for rehabilitated orangutans while at the same time providing a source of income for local people. The name of this reserve is the "Samboja Lestari Project", roughly translated as the "everlasting conservation project of the Samboja district". An inner zone of about 300 ha with various facilities including smaller forest sanctuaries for specific animals unable to be released as well as the nursery, arboretum and environmental educational facilities. Since 2001, the land has been planted with more than a million trees covering more than 1000 different species. The alang alang grass was killed as it was shaded out with fast-growing acacia trees which could then be harvested and used in construction. With the growth in the forest, the density and diversity of wildlife returned. So far 137 bird species and nine primate species have been recorded. 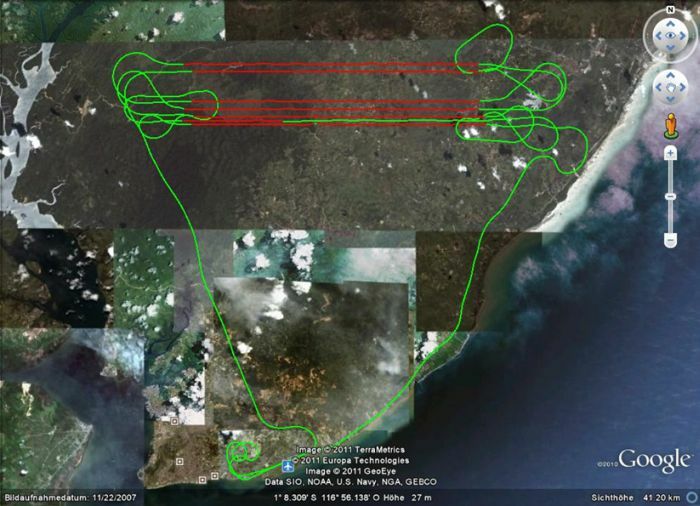 The flight path of the helicopter north of Balikpapan. The turns for the LiDAR- and Ortho-Photo survey is also shown. 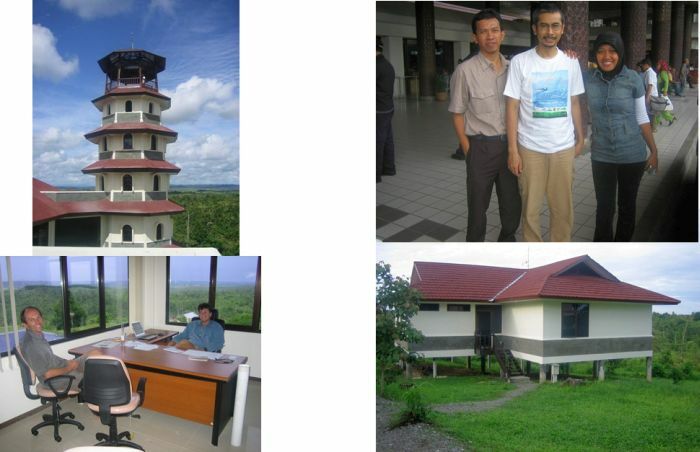 Sambodja Lestari in LiDAR-DSM presentation with two Ortho-Photos from the main BOS building and the Orang Utan island. The yellow line shows the road from the entrance to the building. Monitored on 29. July 2011. 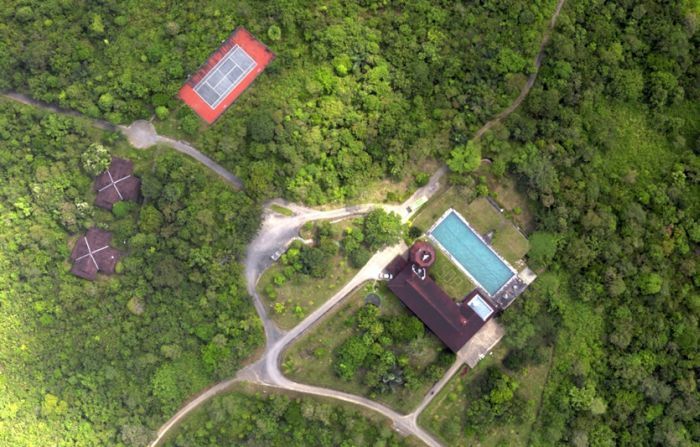 LiDAR-DTM without vegetation, hilly area at BOS area, superimposed by two Ortho-Photos of main building and Orang Utan island. Profile of main road shown in the right upper corner. 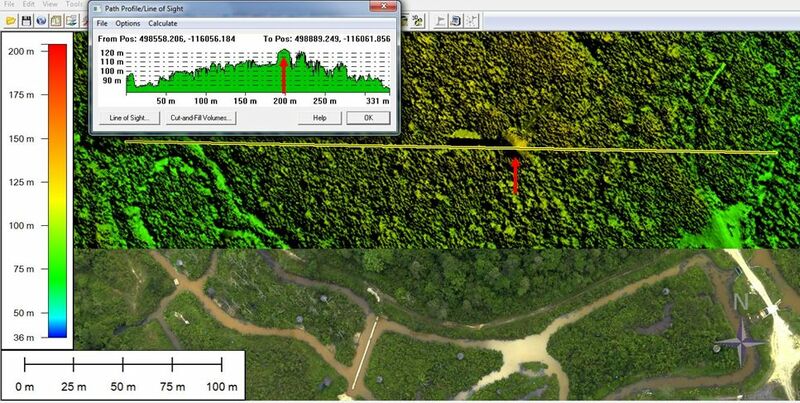 LiDAR-DSM, above, and Ortho-Photo, below, from the BOS lodge and the Orang-Utan island. Profile of the forest and BOS lodge shown in the left upper corner.